Onondaga Lake Park includes the Salt Museum and a replica of the Jesuit mission called Sainte Marie among the Iroquois. This a picture of the lake. As you tell the lake is very dark blue and polluted. But the lake is a very pretty place to be. 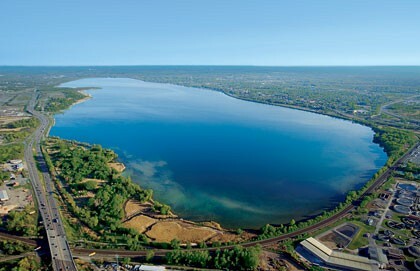 - Located in central New York, on the edge of the city of Syracuse. - About 1 mile wide and 4 and 1 half miles long. - A drainage basin (watershed) is about 233 square miles. - Average depth 36 feet; maximum depth 65 feet. 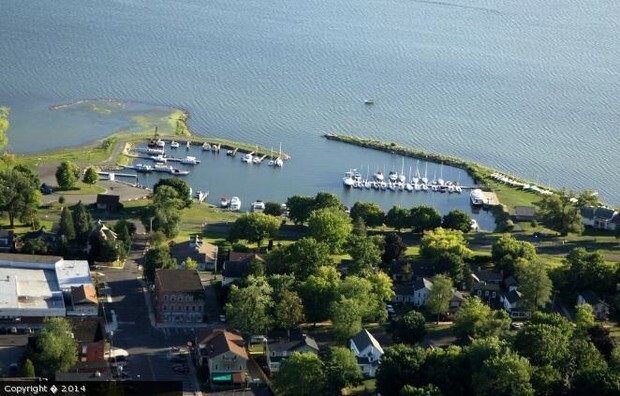 - Under the leadership of the Onadoga Lake Partnership, civic and government leaders are working with the public to develop a shared vision for the lake and how it should be used. This is a picture of a marina in Liverpool of the lake. The park was very peaceful when we went. Many people were walking and running it was just a wonderful place to be! I would definitely recommend going if you have never been there. Its a wonderful place to be, kids could play on the swing set and ride bikes with there parents!